Hello, how i can invisible this warning? You can try this but you will need to edit the source code and build your own MAME. Pugsy wrote: You can try this but you will need to edit the source code and build your own MAME. 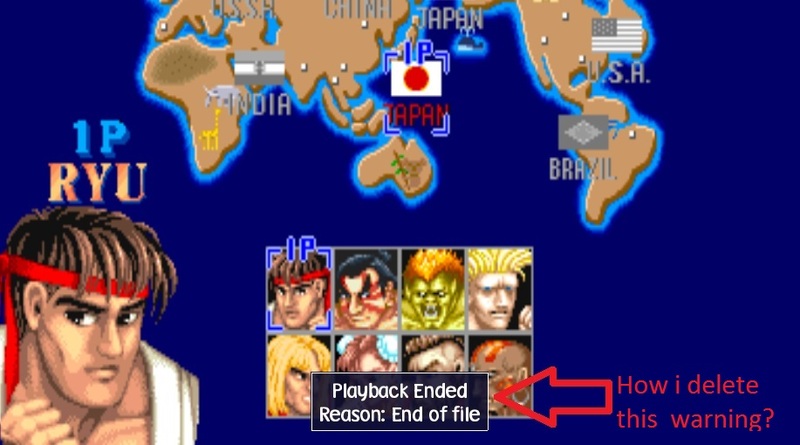 Pugsy is saying you need to be adjust the MAME source files and be able to compile your own (or have someone do it for you) in order to have the adjustments you want. You cannot use your existing binaries of MAMEUIFX and make changes to the .exe file. Maybe if you ask for support at UIFX's forum, you might get help. Tafoid wrote: Pugsy is saying you need to be adjust the MAME source files and be able to compile your own (or have someone do it for you) in order to have the adjustments you want. You cannot use your existing binaries of MAMEUIFX and make changes to the .exe file. Maybe if you ask for support at UIFX's forum, you might get help.